Nairobi, Kenya (Jan 23, 2019) ― Farmers can soon access finger millet varieties that not only withstand drought but are also resistant to parasites and diseases. 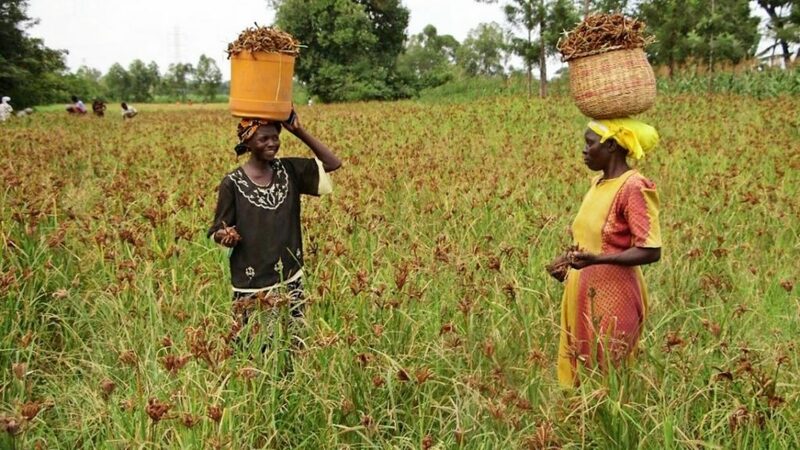 This is due to the boost received from a finger millet Crop Wild Relatives (CWR) pre-breeding project led by the International Crops Research Institute for the Semi-Arid Tropics (ICRISAT) and funded by the Crop Trust which ensures funding until 2020. Finger millet is highly valued for its nutritional qualities and recognized as a Smart Food, yet production of finger millet remains below its potential. Farmers claim that the two key constraints to increased production are the blast disease and a parasitic weed called Striga. “Blast is the most destructive disease of finger millet” said Dr Henry Ojulong, a cereals breeder at ICRISAT. 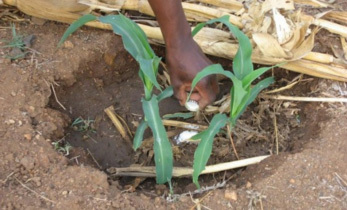 “Blast can occur at all stages of plant growth and can affect the leaves, neck, and fingers.” In Kenya, blast can cause an estimated average yield loss of about 30%. 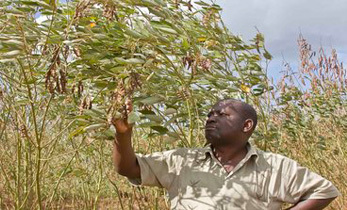 Similarly, Striga, a sap-sucking weed, can lead to a complete loss of crops and once it’s in a farmer’s field, it is nearly impossible to eradicate. 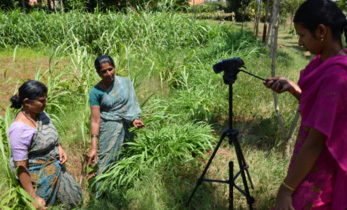 “This project involves working with crop wild relatives (CWR) of finger millet since some of those have developed tolerance to either blast or Striga,” reported ICRISAT’s Dr Damaris Odeny, who is the principal investigator of the five-year CWR finger millet pre-breeding project. The team started by collecting wild finger millet samples and screening them for resistance to blast and Striga. 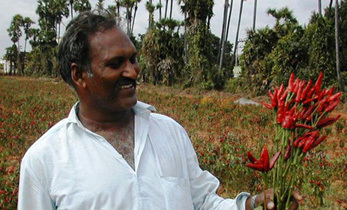 “We used wild relatives of finger millet because we observed that some of them growing alongside cultivated finger millet on farmers’ fields were not affected by either Striga or blast disease,” explained Dr. Odeny. The wild types, however, lack many traits that cultivated varieties may have, such as grain size and color, early maturation or high yield. 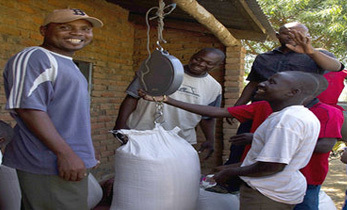 During the first phase of the CWR project, the team, which included researchers not only from ICRISAT but also from the Kenya Agricultural and Livestock Research Organization (KALRO) – Kisii Center and Maseno University, was successful in identifying wild finger millet samples showing resistance to Striga and blast disease as well as drought tolerance. The team also identified finger millet qualities preferred by farmers and consumers so that the project would ensure that new varieties maintained these qualities. “In Phase 2 of the project (2018 – 20) we will now introduce these unique characteristics into cultivated varieties with the support of the Crop Trust,” said Dr Odeny. 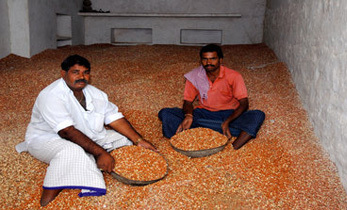 The team will work towards releasing farmer-preferred varieties that have been improved using the superior traits from wild finger millets. Crop improvement work of finger millet is important due to the millet’s high nutritional and health qualities. The high levels of calcium, iron and amino acids in finger millet make it exceptionally nutritious. It is an ideal food for diabetics since it has high amounts of slowly digestible starch and resistant starch that contribute to a slow release of sugar in to the bloodstream.